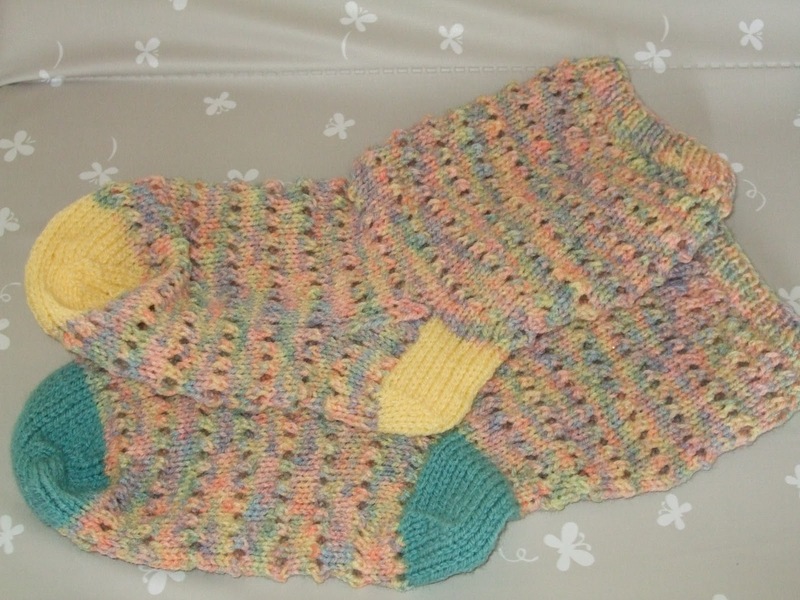 A number of years ago now I made my first pair of socks (below) destined to go to my sister as a gift, they were a bit baggy but I was proud with my first attempt. As it turned out she found them great for slouching down and wearing at home as a slipper sock, and so did her boyfriend. Sadly 3 years later and they've been darned a number of times - he requested a new pair of super sliding socks (apparently they're also great for whizzing along laminate in)! I did a bit more research for mens footwear accessories specifically and came across Nola's Slippers on Ravelry and through Christmas at Sea pages below - wow what a quick knit, I altered the pattern to be knitted seamlessly in the round and finished off with a Kitchener Stitch along the length of the sole so they didn't irritate the wearer. 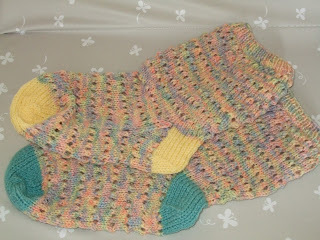 I used King Cole Big Value DK held double and 6mm needles to get the tension needed. My finished ones are at the top of this post. I have it on good authority that these are great for sliding in too!